Leading Manufacturer of bridge cutting machine and auto bridge cutting machine from Ahmedabad. As an affluent industry, we are instrumental in offering a high-quality range of Bridge Cutting Machine. The offered cutting machine is manufactured by utilizing high-quality raw material and leading technology. This cutting machine is renowned for their outstanding quality. This cutting machine is inspected on numerous parameters to make certain absolutely, defect-free supplies. 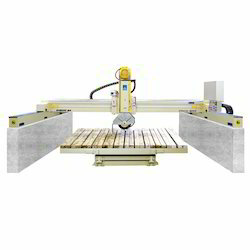 Customers can avail this cutting machine with numerous specifications. We are offering Auto Bridge Cutting Machine to our client.